Paying for one rhinoplasty procedure is difficult enough. It can be even more difficult to come up with extra money for a second procedure. If you’re in need of a revision rhinoplasty to repair unsatisfactory results from your first procedure, it is very important that you understand the probable costs before moving forward. The cost of revision rhinoplasty varies significantly depending on several factors. One of the most important is the geographic location of the surgeon. The cost of revision rhinoplasty differs from rural areas to urban or coastal areas, where it is typically far more expensive. In the United States, revision rhinoplasty is most expensive in the Northeast and California, as is any other cosmetic surgical procedure. Another factor affecting the cost is the complexity of the procedure. Revision rhinoplasty is a very complicated surgery because there is usually significant scar tissue left over from the first rhinoplasty procedure. 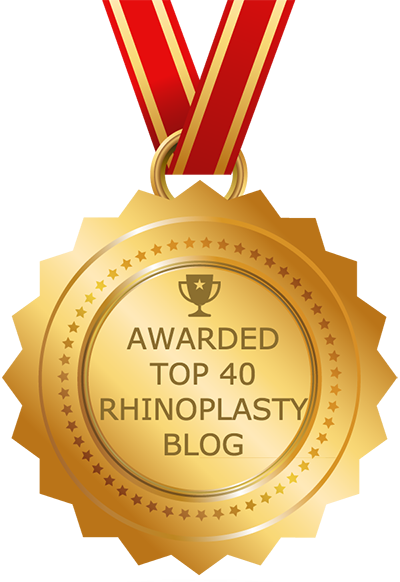 Other factors affecting the price of revision rhinoplasty include the training and experience of the surgeon as well as the equipment and facilities he or she uses. Because revision rhinoplasty is one of the most complicated of all facial plastic surgeries, it is also one of the most expensive. Costs range depending on the complexity of the case, the geographic location of the selected surgeon coupled with his or her experience. If you choose to go with the same surgeon that performed your primary procedure, the surgeon may offer a discount if the secondary procedure is being performed as a result of a complication from the first surgery. However, you will still need to pay for other costs associated with the procedure, such as anesthesia, prescriptions and hospital or surgical facility costs. If functional problems, such as an obstructed airway, are being addressed, your insurance carrier may cover this portion of the surgery. If you feel that you cannot afford the procedure, speak to the surgeons you are considering about financing options. There are a number of financing options available these days, some specifically geared toward plastic surgery, with low monthly payments. It is important to note that cost should not be the primary factor when choosing a surgeon to perform your revision rhinoplasty. There are many factors unrelated to cost that you need to consider before moving forward with revision rhinoplasty, including preparation, downtime and risks. It is also extremely important that you have a good rapport with the surgeon. However, the most important factor to consider is the ultimate result. It’s better to wait a year or two while you save up for the procedure than to rush into it with an inexperienced surgeon, which may result in another unsatisfactory outcome and will likely end up costing you more in the end. If you are unsure whether the surgeon that performed your original procedure played a part in your unsatisfactory results, it is probably time to find a new surgeon. In fact, this is quite common — in many cases it is a bad idea to have the same surgeon that performed your original procedure perform your revision rhinoplasty. It is important that you have appropriate expectations going into the procedure. Your surgeon may use 3D imaging to show you what your nose could look like following surgery. This is a good tool for setting expectations, but you also need to understand that there is no guarantee your results will come out exactly as they appear on screen. Make sure that your surgeon is able to show you before-and-after examples of other patients who had problems similar to yours. If something looks amiss, it could mean that your expectations of revision rhinoplasty were too high, or it could mean that you need to consult another surgeon. The only way to know for sure is to visit multiple surgeons. Another factor to consider is the timing. Most experienced facial plastic surgeons will tell you that it takes up to a year to realize full results from the first procedure. If you had rhinoplasty six months ago and are unsatisfied with the outcome, it’s possible that your nose will look better six months from now, due to decreased swelling and other factors. With all of this in mind, make sure to do your homework and be sure to contact your facial plastic surgeon with any questions you may have.